Knitting – it’s radical, man. OYes, yes, I know – my lingo is slightly behind the times. What exactly did you expect from someone who prefers musical selections from old dead British crooners a la Rat Pack? 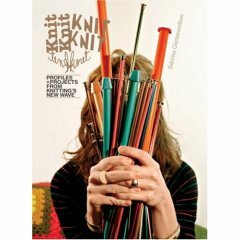 However, I’m prepared to be wowed by new concepts, particularly when I’m in a bit of a knitting funk. So, I was very glad to come across some web pages yesterday with some fresh knitting ideas. 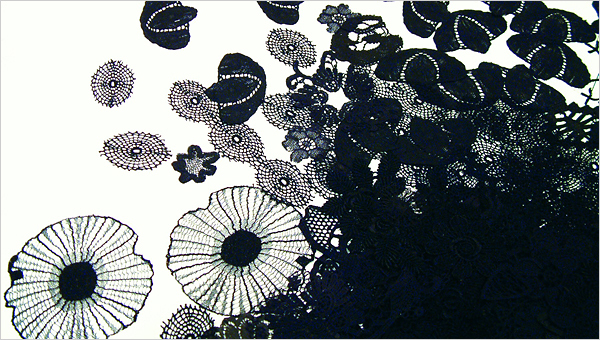 First, how about some radical lace? This is a photo taken at an art show in New York back in early 2007 – the work is by Cal Lane. I wish I’d thought of that, frankly. 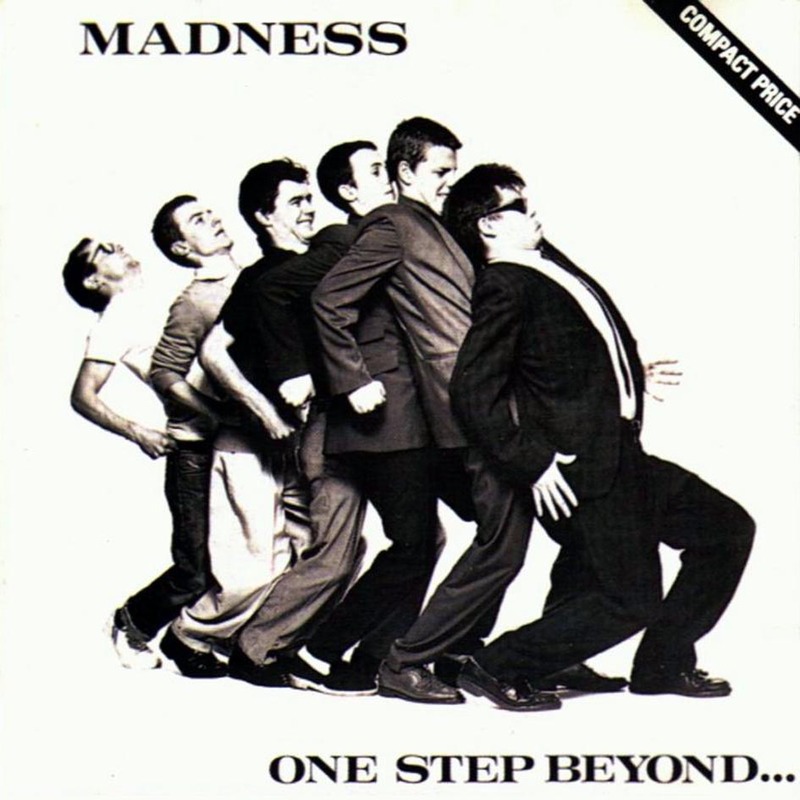 And, after all, what’s a little madness between friends? 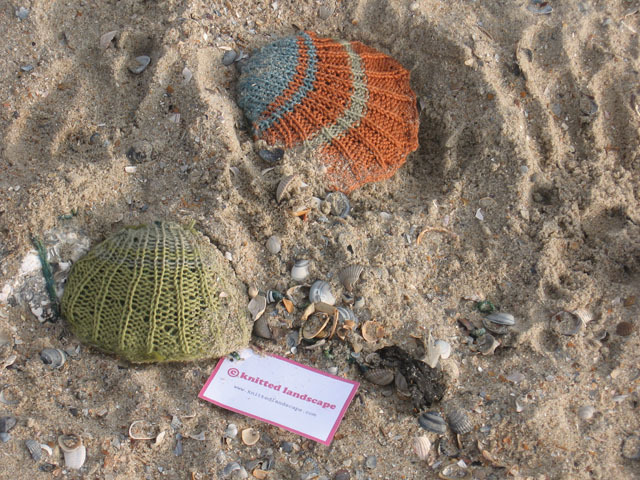 In my virtual travels, I also came across some funky knit “graffiti” type stuff by a group called Knitted Landscape. 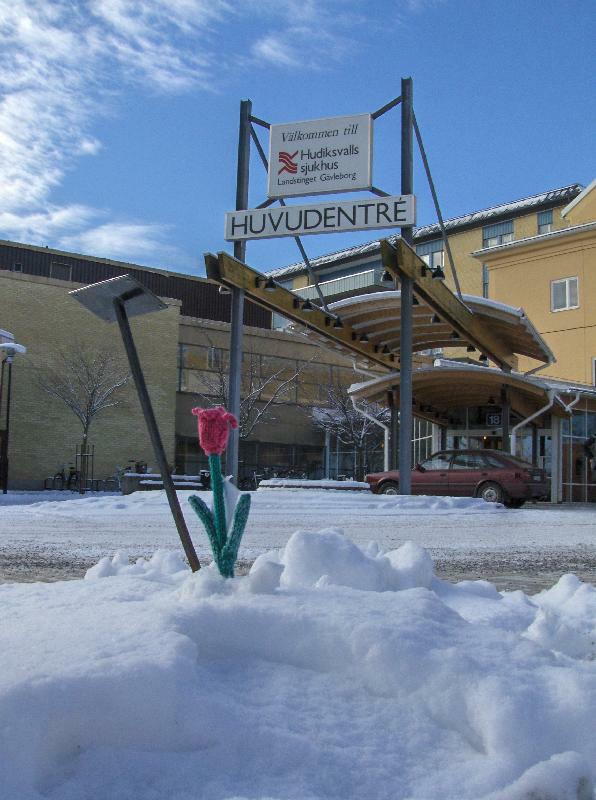 How about a tulip in the snow, for example? Or, perhaps you prefer the idea of a day on the beach? Now I’m full of ideas all of a sudden. So many, that I’m not quite sure what to do. Ah – eureka! Given some of my obsessions, it should have been quite obvious, no? 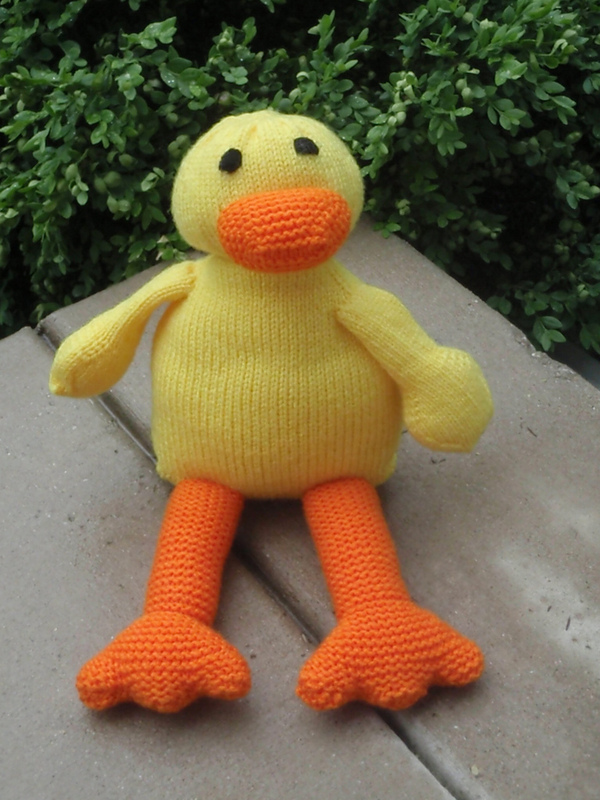 A knitted rubber duckie! Although, is it truly a “rubber duckie” if it’s knitted??? Hmm…. Well, why not? I just found a website called Unifly Rubber Yarn Products!!! I guess it’s official… the possibilities are, in fact, endless. So, if you could knit any object you wanted, what would it be? Tell me… come on… don’t be shy! I would knit a David Tennant. And then spend a lot of time looking for that fairy godmother person in Pinocchio who turns dolls and puppets into real humans. Wow, the Knitted Landscape site is amazing (although the photo of the knitted stone, looking towards Antartica, is slightly disturbing…). Soo, funnily enough, I’m actually the fairy godmother person from Pinocchio; I’ll turn the knitted Dave T into a real human for you (but then I’ll run off with him myself, haha!). I would knit one of those big checks like the one that the Publishers Clearinghouse people bring. 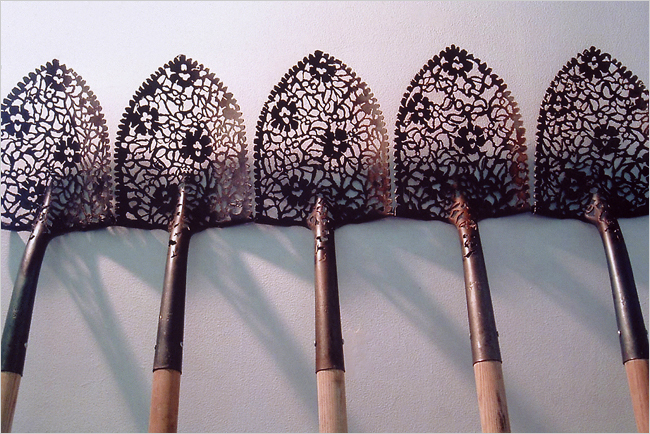 The lace shovels are amazing!